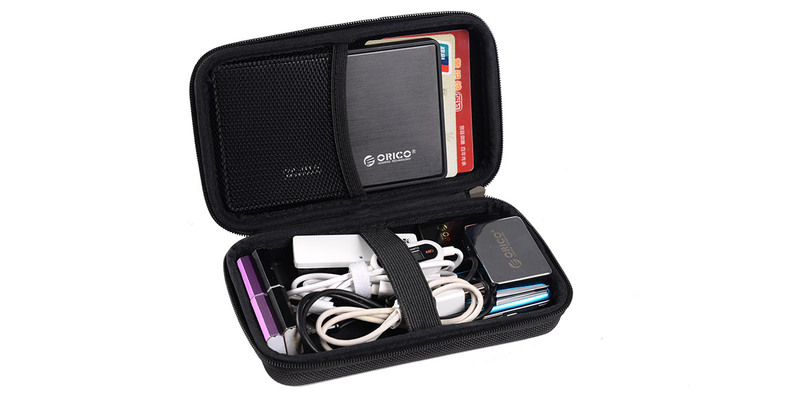 ORICO PHE-25, its internal bulk has upgraded to 166*95*30mm so that your daily storage become more free from now on. 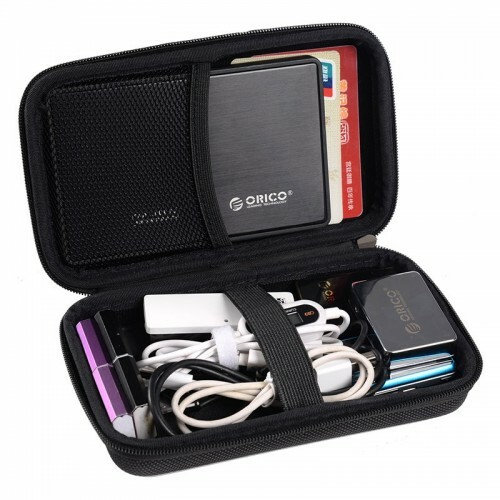 Besides, it is suitable for every brand 2.5 inch hard drive and cable, but also fits with some portable things such as U-disk, credit cards, card readers, SD cards, business cards, MP3, camera cards, cable, change, etc. 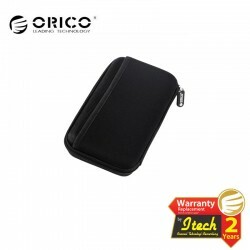 ORICO PHE-25 is made of high-quality EVA waterproof material, which effectively prevents splashing. 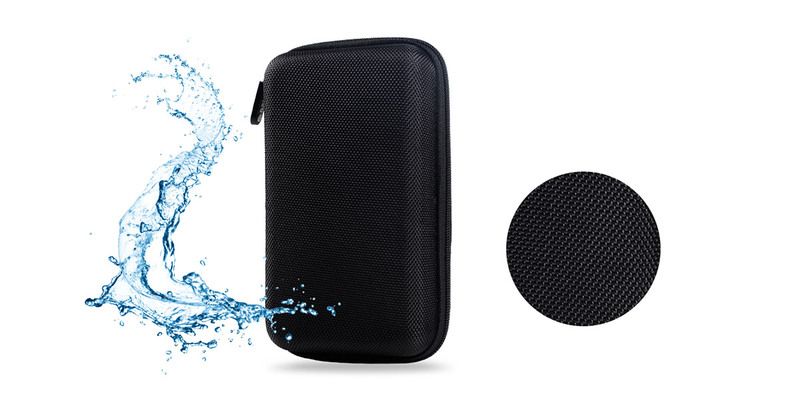 Durable, wearable, scratch resistant and not easily deformed. 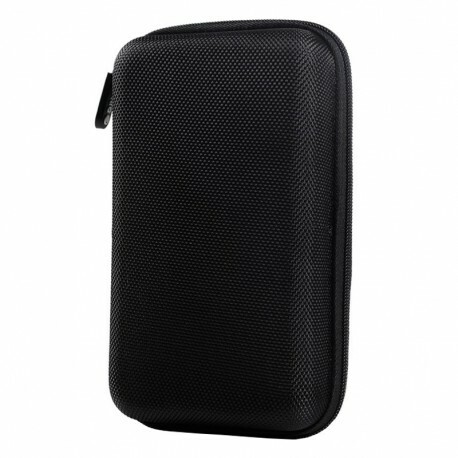 Superior EVA brings your devices better protection. 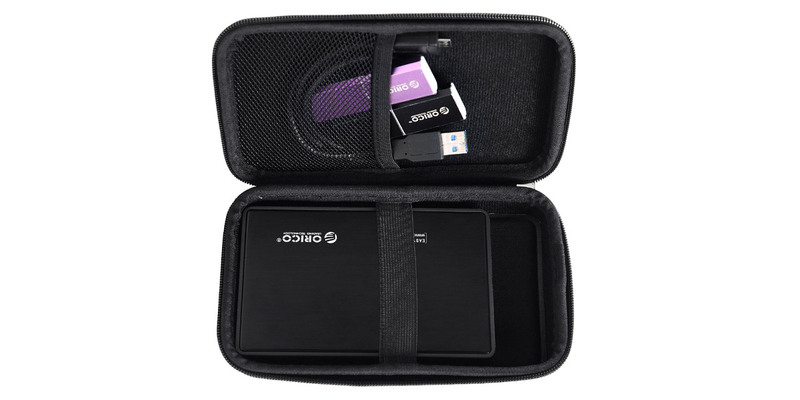 Solid EVA shell, enough to withstand external bumps and friction in daily life, coordinates with internal shockproof memory foam, which can effectively protect your hard drive from impact and vibration. 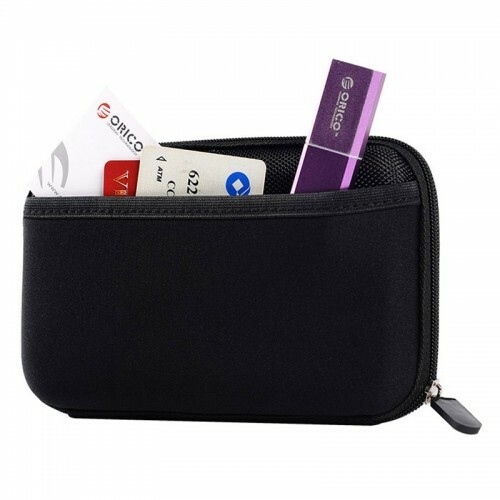 It uses unique lockable space design, which can effectively prevent parts falling and greatly enhance the space utilization, while you can place your various belongings. Clean and practical! 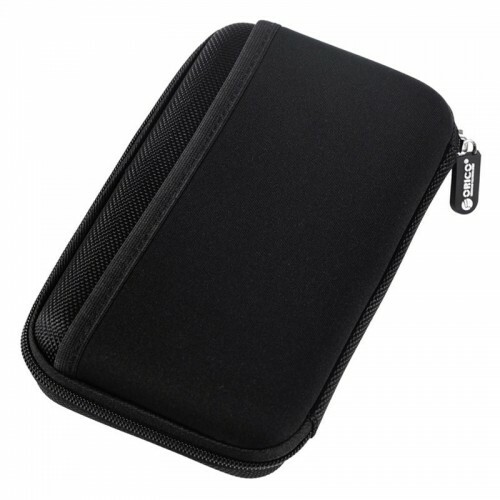 This drive storage bag is equipped with elastic belt inside, which can effectively fix hard drive or card camera and other large components, to prevent slipping and shocking. 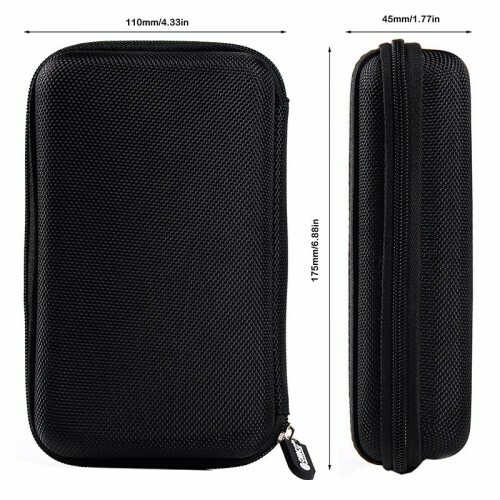 Extremely smooth zipper coupled with durable zipper puller, makes your operating more freely. So you can enjoy a longer life for use.